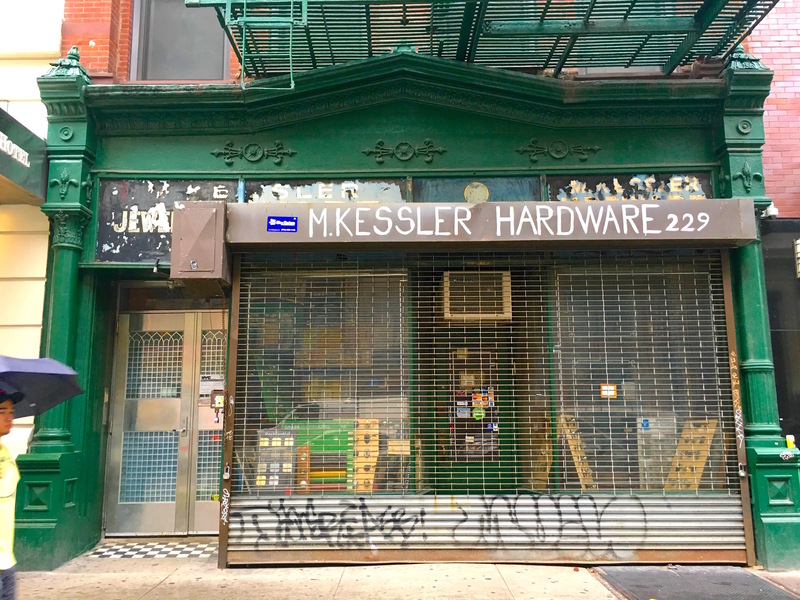 The low-rise, rundown buildings on the south side of 14th Street at Eighth Avenue have slowly emptied out—the liquor store moved down the block a few years back, a restaurant closed and nothing reopened, and now a candy store and corner deli are gone as well. 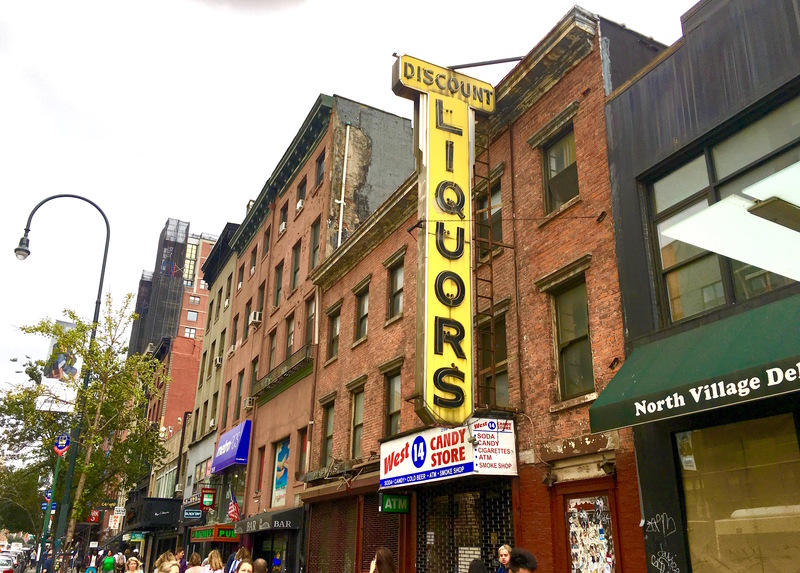 What will become of this wonderful discount liquors sign—bumblebee yellow, two stories tall!—when the building it’s attached to inevitably falls to the developers? 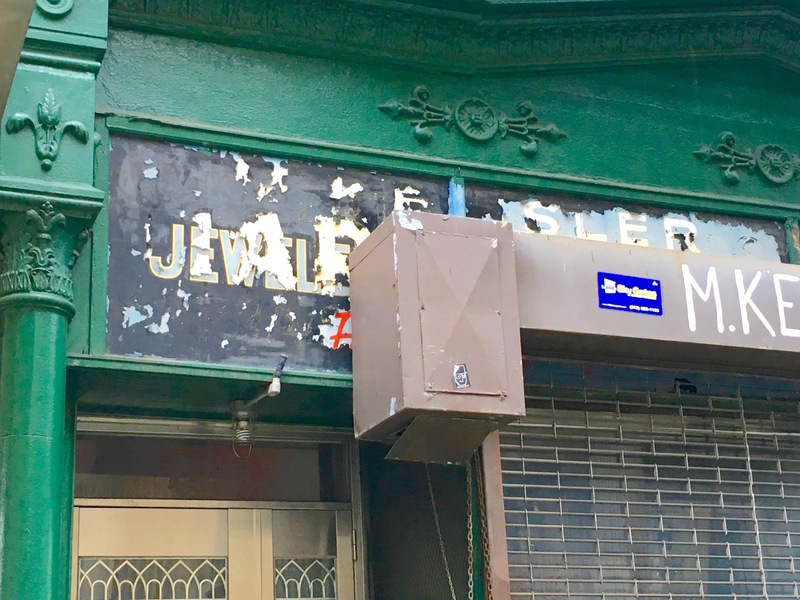 I’ve always wondered: why do so many of New York’s laundry places and dry cleaners have store signs that look like they’re about to fall apart or haven’t been freshened up since the Carter years. This is not a criticism; I love coming across signs that have seen better days and bring us back to a different New York. But while so many other types of businesses update their signage frequently, laundry signs tend to look like forgotten relics. 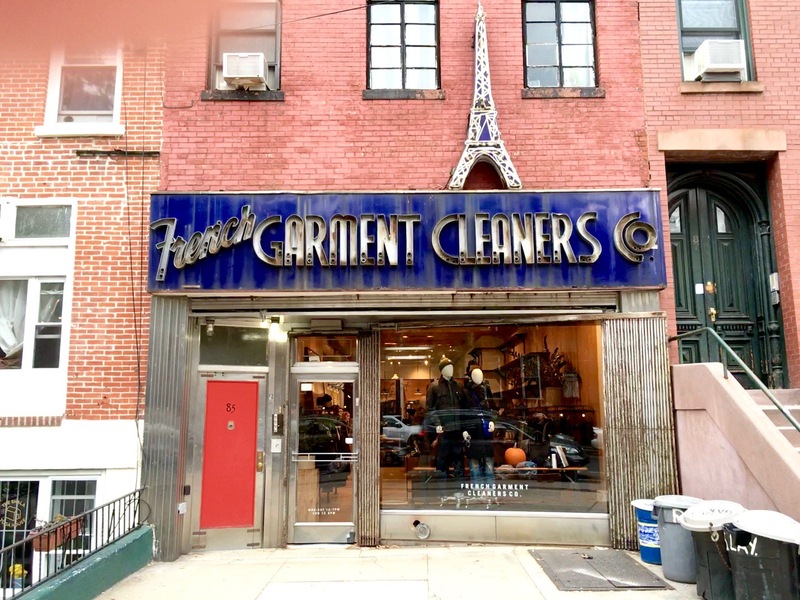 The French Cleaners on Columbus Avenue is now closed. But the sign feels very space age 1960s. Same with Reliance Cleaners, on Fifth Avenue in Brooklyn. 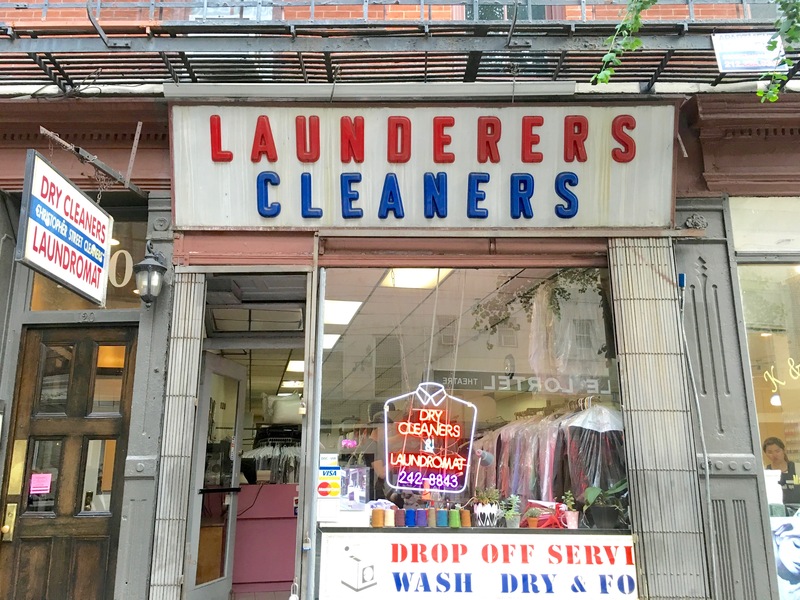 This launderers sign on Christopher Street is a favorite; it’s colorful and neat with a 1970s vibe. 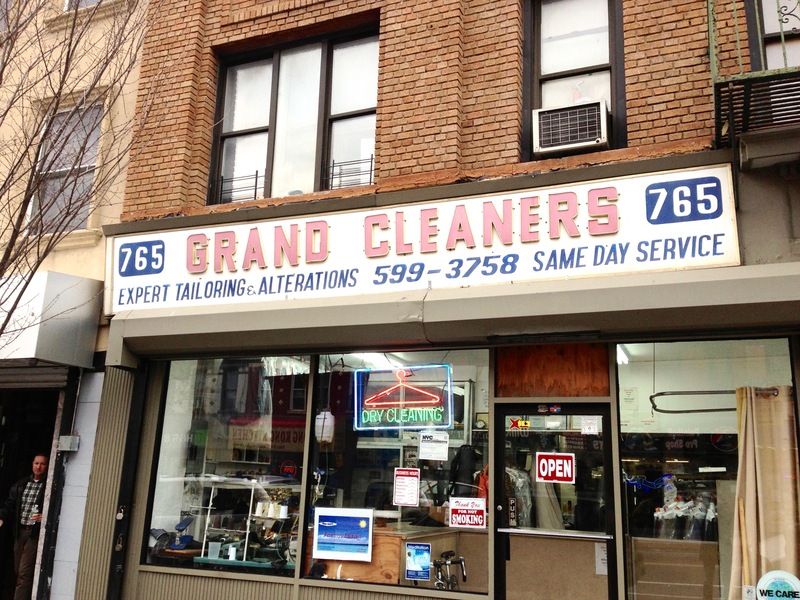 Grand Cleaners in East Williamsburg has the same old-school feel. 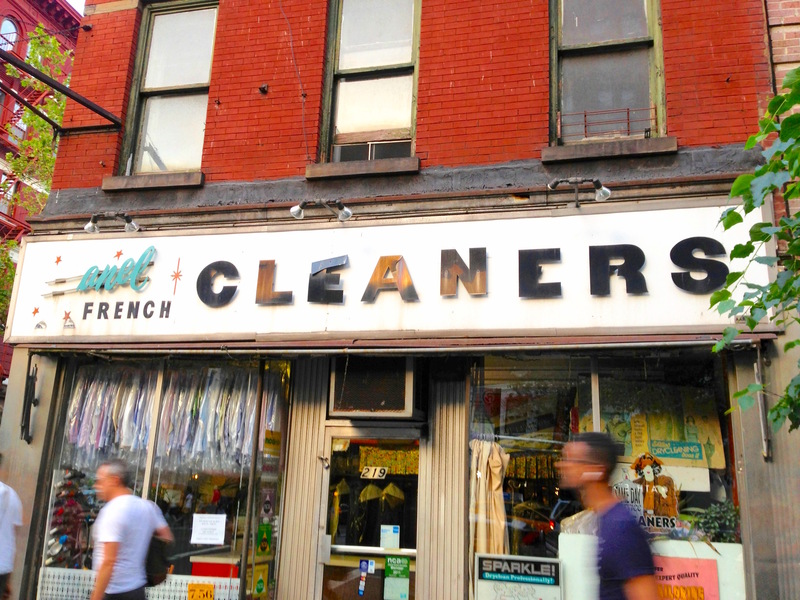 This second French Cleaners sign in Fort Greene is hard not to love. The faded blue background! That mini Eiffel Tower! I hope it lights up after dark. 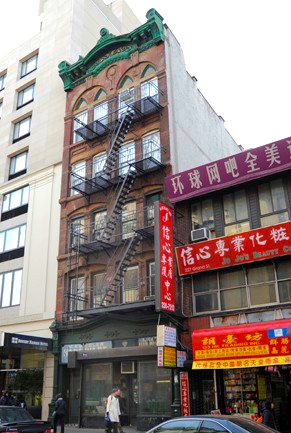 Hidden pieces of an older New York are peeking through a couple of contemporary storefronts on Eighth Avenue in Chelsea. 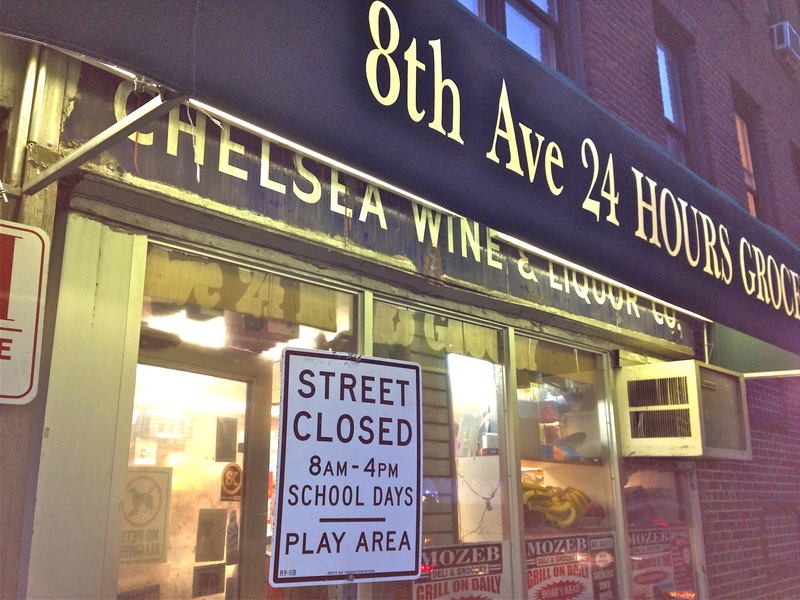 This generic deli awning on the corner at 21st Street doesn’t conceal the previous tenant, the perfectly straightforward Chelsea Wine & Liquor Company. A little further up the same side of the street is this old-school signage for Chelsea Merit Florists (minus the final two letters). Another sign tells us they’ve been in business since 1930—but these days, the Merit is gone from the name. 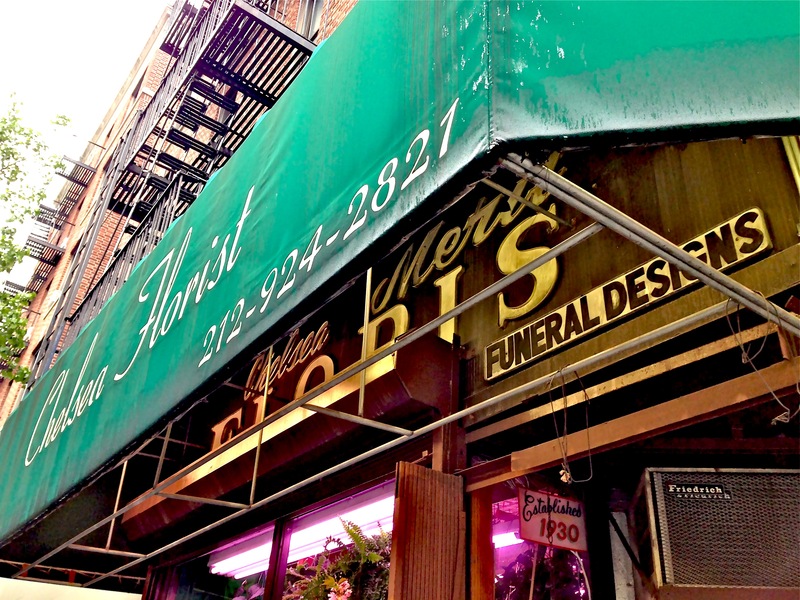 Funeral Designs—interesting service to advertise on a storefront!